One of the things that has always struck me about 99% of the people I know is that none of them pay ANY attention to the big picture of their financial situation. How could they live like that? How do people go about making big financial decisions such as moving, or buying a car or house, without a clear picture of their finances? It doesn’t surprise me that the America we live in today is more populated with people in debt, making bad financial decisions and spiraling out of control, than it is with people with their head above water. Why is that? And more importantly, is that you? Personally, my view is simple. RUN YOUR LIFE LIKE A BUSINESS. Successful businesses become successful by learning from the past and applying it to the future. Smart business owners review historical figures to project their expenses for the future year, determine their overhead, and create sales objectives to meet or exceed their baseline requirements for breaking even, making money and put simply – staying in business. Why should it be any different for an individual? Change “overhead” to “cost of living”, “sales” to “income” and it’s basically the same thing. “The act of measuring, in itself, makes you more aware of your decisions.” – Tim Ferriss (author of “The 4 Hour Work Week”). You can’t manage what you don’t measure. With anything in life, if you want to make progress, if you want to improve, you must be able to manage it. For a body builder to make progress, they create logs of how much weight they lift, how many sets and reps they performed, and how many calories they intake. Runner’s time themselves. From there, they take historical data and set goals for the future. We can do the same thing with personal finance! And what’s more, it’s easy. In this series, I’ll be focusing on the first half of that – tracking progress, creating useful historical data, and making a budget based off of that data. If you follow the guidelines and principles in this guide, in time you will be able to spot bad habits and trends in spending that are wasteful (how much did you spend last year on ATM fees alone? $100 or more?). You’ll be able to plan ahead for the year based on last year (how much did you spend last winter on heating? On auto service? How much is in the budget for vacations?) You’ll be able to create goals for the long term (how much money will you save this year? How much money will be in your 401K in 20 years?). Knowing what you need to live can give you the upper hand when negotiating salary compensation, whether at a new job or for promotion. If you ever plan on being an entrepreneur, you will be learning a very valuable skill set (accounting and budgeting). Best of all, you will begin building habits for growth and success. But first, you have to pick a metric to track your progress with. Ever since I was a paperboy, I kept separate envelopes with category names written on them and whenever I got paid, I put money in those envelopes as a way to budget how much I would spend on certain things. Later, when I was exposed to my first accounting course in college, I created my first Income and Expense worksheet, using excel to create workbooks full of T-accounts, ledgers, cash flow worksheets and expense reports. Sound complicated? It was. And time intensive. VERY time intensive. Nonetheless, I did this for 4 years. Luckily, you don’t have to! Mint.com is a web based financial tracking service that not only works beautifully, but is also free. Although I was using iBank, I was intrigued by Mint.com when I first heard about it, so I started using it myself. I was really surprised! It’s very easy to use, automatically updates and categorizes your transactions, and has a nice smartphone app as well which comes in handy for tracking those elusive cash transactions. You can log into your dashboard anywhere you have an internet connection. It’s very secure and used by hundreds of thousands of people. It’s also very interactive, it will automatically categorize your spending and takes most of the guess work out of setting up a budget. It gives you advice and direction based on your spending habits, and also provides alerts to keep you aware of your goals. But it does have it’s downsides (I’ll discuss those later.) Also, it’s not localized (meaning, you access it through the web rather than installing a program on your computer.) This is a non issue in my opinion, but may be a concern for some. For the newbie budgetier, this is a winning app and will really help you get started. My main personal finance software is iBank. In late 2011, I switched from Excel to iBank, and I haven’t looked back since. This program, along with the accompanying iPhone app, simplifies the entire process. Now I log into the program once a week, download my transactions from my banks’ websites, and do whatever budgeting is necessary. When I have a cash expense, I use the iPhone app to enter the expense. In the time it takes to send a text message, I can enter a cash transaction and sync my phone to my computer. It’s very customizable, which is what sets it above mint.com, at least in my opinion. Also, it’s localized, so for all you conspiracy theorists, it will help keep your mind at ease. 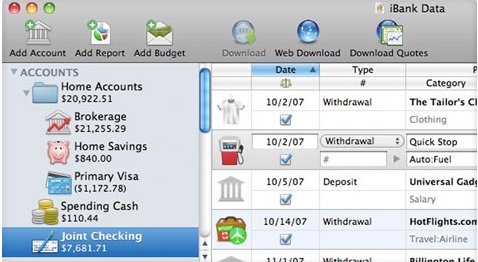 While iBank works great for me, it is mac based, so not everyone can use it. Luckily, there are other options for those of you who are PC based and prefer to use something localized and more customizable. 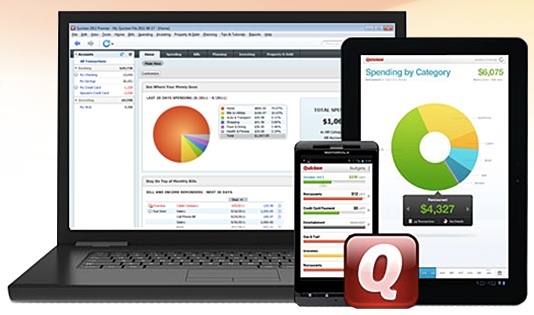 Quicken, Moneydance and Fortora Fresh Finance are all viable options for the windows user. These aforementioned programs are not free, however. They are usually around $60 and in my opinion, well worth it. You could easily save that much in a year by spotting trends in wasteful spending and stopping them. When you are selecting a program, check that it has an accompanying smartphone app that works on your device. I highly recommend you buy one that does, to simplify tracking cash expenses. But what about those of you without smartphones? 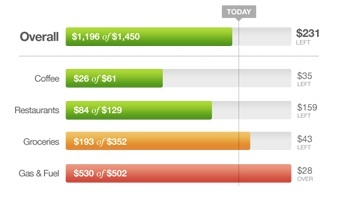 Tracking cash expenses is the most difficult task in all of this, and having a smartphone really helps. But before I had a smartphone I wrote down my expenses in a moleskine notebook, and saved receipts when necessary. You could also use whatever Notes app you have on your phone. It’s not as much work as it sounds, but having a smartphone does simplify things. And hey, it’s 2013, how many more reasons do you need?